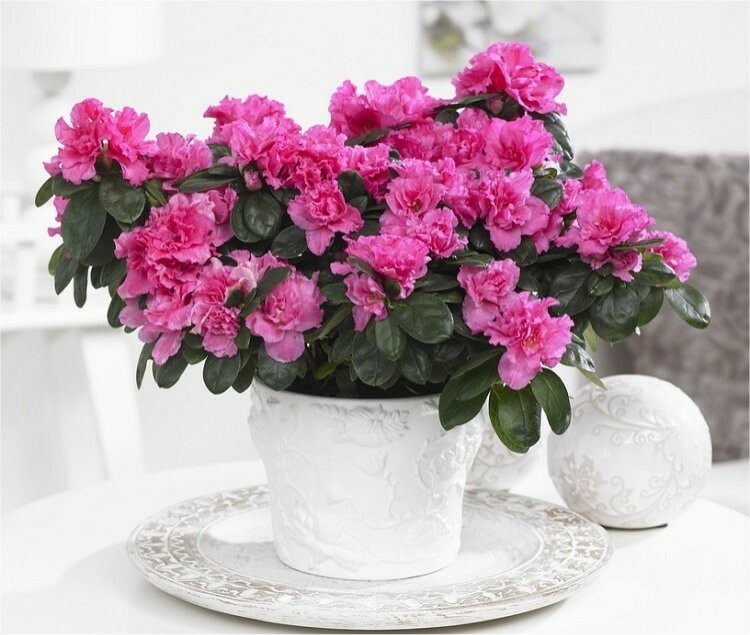 A gorgeous Indoor Azalea with buds and bursting in to flower that will make a superb gift, and long lasting house plant - blooming for many weeks. 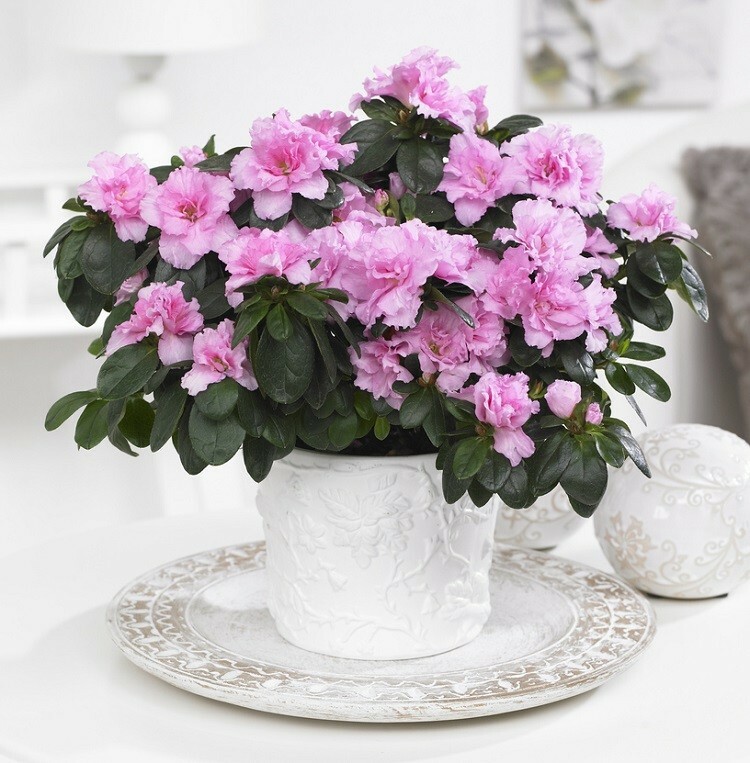 Kept well watered, it can be enjoyed indoors, and then when the flowers fade it can be moved out of sight to grow on for flowers again in the future. Every plant is studded with masses of flowers and buds ready to open, and is presented in a plain white water proof display pot - simplicity itself so as not to distract from the flowers. Simply position and enjoy. For best results, we recommend the plants are kept well watered and away from draughts. Colour supplied may vary slightly according to availability.